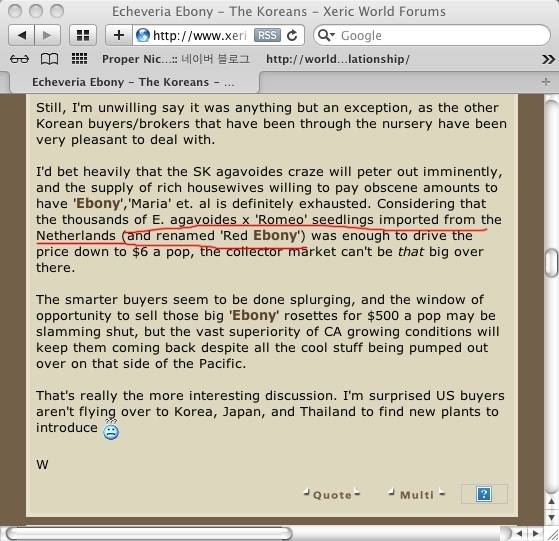 I will tell you Ebony story. 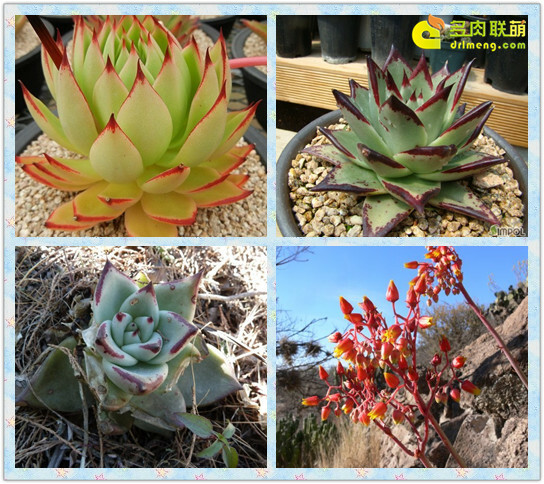 Echeveria agavoides grows in a certain area of Mexico. There are many valleys and areas over many years the plants start to differ from plants in other areas some get blacker others greener leave narrower and others wider. A botanist or collector was examining these plants about 50 years ago. In one valley he found some particularly good forms with very dark edges and good leaf shape. He took back some to Huntington gardens where this special form was given the name Ebony. So ebony is a special selection from a wild seedling. Ebony is not the species (a wild consistent form) Ebony is a select form of agavoides as the flower is exactly the same. Flowers are used to identify the differences between plants. Maria is also a select reddish form cloned. Only cloned Ebony and Maria must come from the original plants that were named at Huntington many years ago. Wild plants cannot be given these names. If an agavoides has any red or dark edges Koreans call them Maria or Ebony now. It is these special plants that must be grown as the seedlings will never be as valuable.